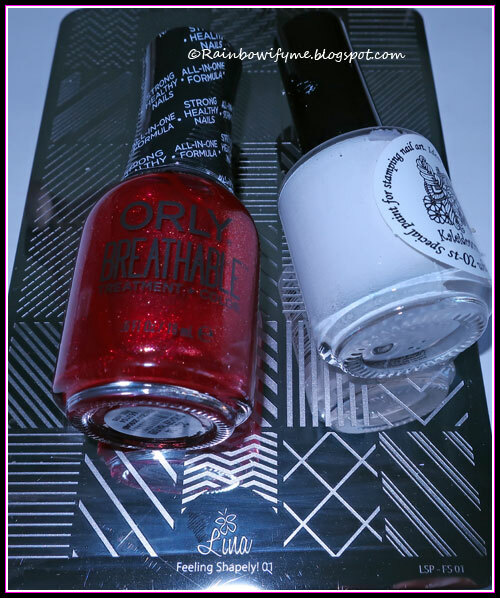 “Stronger Than Ever” is from Orly’s series of Breathable Treatment + Color-polishes. 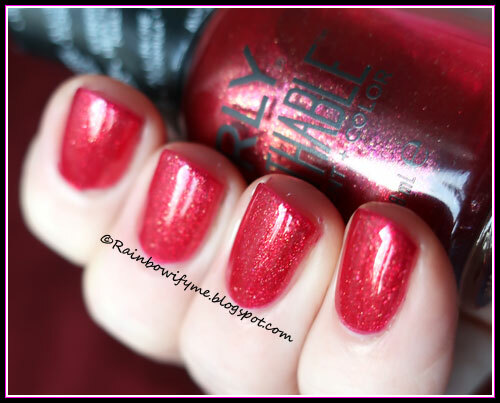 It’s a beautiful ruby red polish with the most gorgeous shimmer. I used two easy coats for full opacity. The drying time surprised me a bit because it was average. 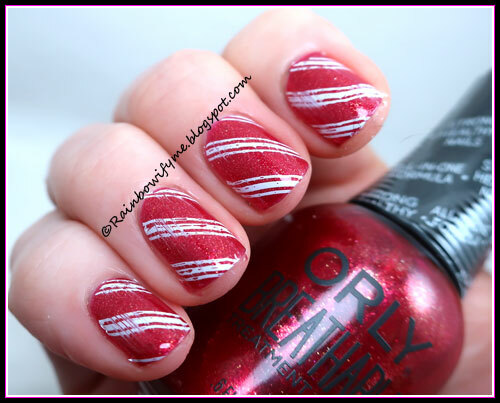 The candy cane stripes are from Lina’s stamping plate “Feeling Shapely! 01”. Here’s the final manicure photographed in the lightbox. 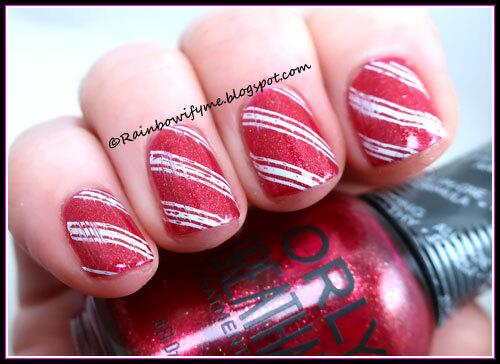 The topcoat pulled a bit on the stripes, but it only shows on the photo and not in real life. This is two coats of “Stronger Than Ever” photographed in daylight. I have already added a layer of topcoat.